This superb book is a powerful indictment of America's two-tiered system of "justice" and the perversion of American ideals by the American establishment (better understood as an oligarchy). It could serve as a manifesto of the Occupy movement, which, contrary to variously naive and opportunistic mischaracterizations, has no problem with people winning, and is opposed instead to systemic, institutionalized cheating. 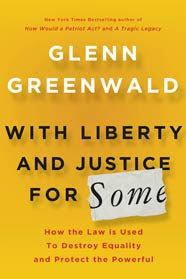 If you think certain classes of people should be above the law, or that the law (including the Constitution) should be treated more as a kind of guideline, suggestion, or recommendation than as a binding authority equally applicable to all, you won't agree with the book's clear argument and you'll find a way to ignore its overwhelming evidence. But if you recognize that, as Thomas Paine said, in America it is the law that is king, you'll be grateful that Greenwald has written such a cogent appeal for Americans to live up to our ideals. The Operators covers, in excellent prose and with perfect pacing, three broad topics. First, the insanity and futility of America's war in Afghanistan. Second, the way decisions are made in Washington and at the Pentagon -- the bureaucratic battles, the petty resentments and one-upmanship, the alliances and betrayals. And third, the realities of journalism -- the tradeoffs journalists engage in between access and honesty, the way journalists allow themselves to be seduced and suborned by the powerful figures they purport to hold to account. For nonfiction, the book was an unusually gripping read (I listened to the audio version in my car, and many evenings sat in the driveway after getting home, unable to turn it off). Hastings turns this trick by avoiding preaching, and instead illuminating his broad themes through a specific focus. The insanity and futility of the war are represented by the heart-aching death of Army Corporal Mike Ingram. The White House and Pentagon turmoil is told via the story of the rise and fall of General Stanley McChrystal, America's commander of the International Security Assistance Force in Afghanistan. 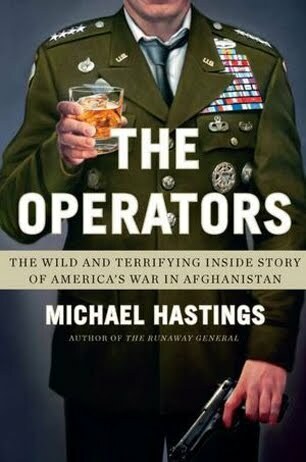 And the realities of journalism are presented through Hastings' account of his own decision-making process; of the temptations he felt (and, to his credit, resisted); and of the reactions of other journalists to his coverage of McChrystal and the war. The subtitle is spot-on: this really is a wild and terrifying inside account, and a deeply affecting one, too. I highly recommend it. I completely enjoyed this eclectic and wonderful book, which the authors were kind enough to give me when I spoke at Grub Street Writers in Boston this past November. 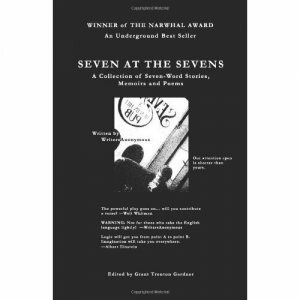 I wouldn't have thought a book grouped around the concept of seven-word observations, poems, stories, and aphorisms would be so engaging, but I would have been wrong about that (and I should have known better, as I suppose you could say the same thing about haiku). If you love writing, this book will make you feel connected with a passionate and funny (and anonymous, though their bios provide delightful glimpses) group of people who share your love. The illustrations are memorable, and sometimes haunting. The quotes from Steve Jobs, Hemingway, and others will inspire you. I'm indebted to the authors for introducing me to the work of Katherine Mansfield -- her short story The Fly is a magic act. Magic. A particularly fine read in a favorite coffee shop (mine is Hatou in Tokyo). Also goes with Charlie Haden's American Dream. I hope you'll have as much fun with this slim volume as I did.